The past few years have been a labor of Love. 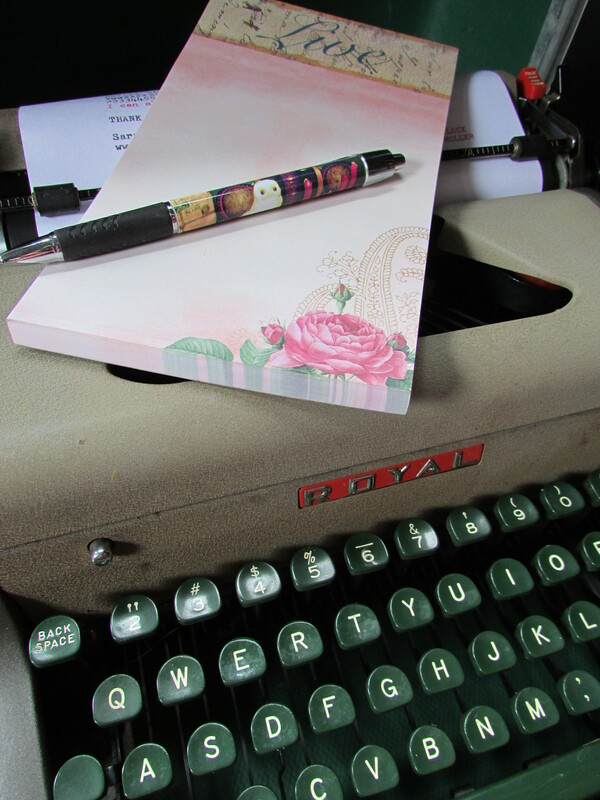 I dedicated a big part of my time to writing my first and second novels. If I had to place a label on my work, I would categorize both novels as paranormal romances/fantasy/fiction, but that doesn’t do justice. To give you an idea, here is a brief scope. 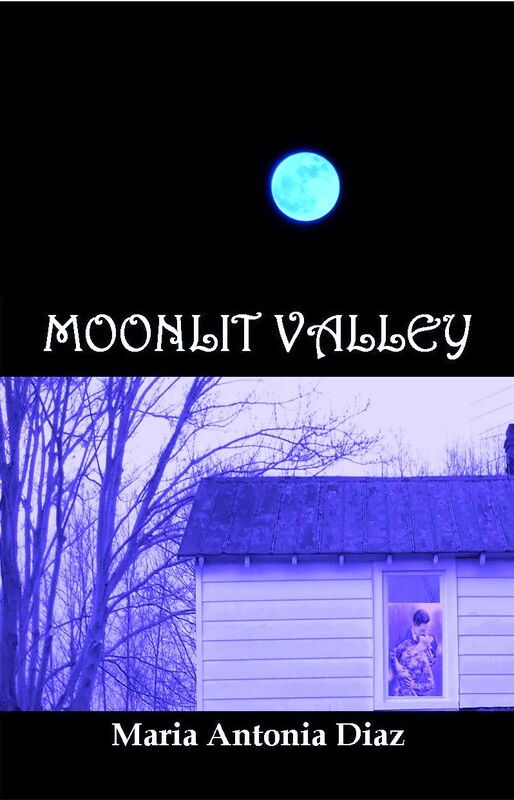 You can find Moonlit Valley here via Amazon in Kindle and Paperback, and also here – paperback. Find it at Barnes & Noble here. It is also available through Smashwords in other electronic formats – ePub (apple, kobo, nook…)/Sony here. After losing everything, Rose Carrigan never imagined what awaited her when she left her hometown in New Jersey to live in and old farmhouse in a small southern town called Moonlit Valley. After a series of clues and unfortunate events, once more, her world turns upside down. This time, the man who she loves, Jeremy Sandbeck, her husband, is responsible. When she discovers his identity, she must decide between love and destiny, thus defying the surreal world that she has discovered. Jeremy struggles with love, and what he thinks is his true divine duty. 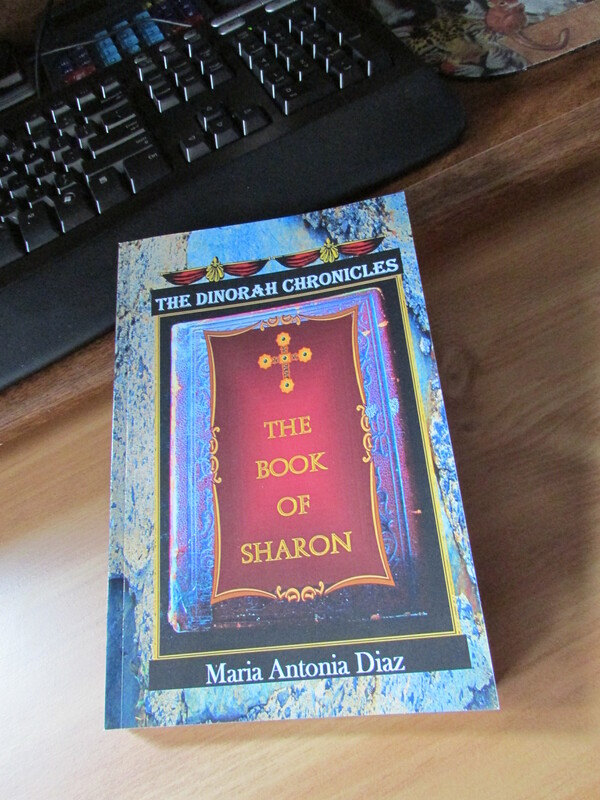 Dinorah, an introverted young librarian, resents her Human-Anarth origins and must find a way to fulfill her birthright duty, while keeping the secret. As she learns the Anarth ways and follows the riddled teachings of an ancient tome, she falls in love and struggles to keep her secret. She must fight her archenemy Hael and The Other Side, but most of all, she must fight herself. In this battle of Self, Love, and Duty, winning is the least of her concerns. 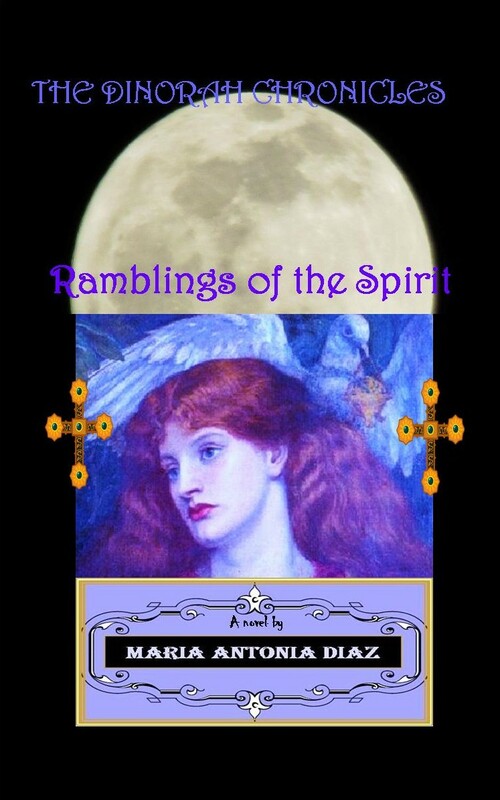 You can find The Dinorah Chronicles – Ramblings of the Spirit in paperback edition here or through Amazon here . This is the second novel in the trilogy. It is available via Amazon and CreateSpace in paperback and Kindle edition. 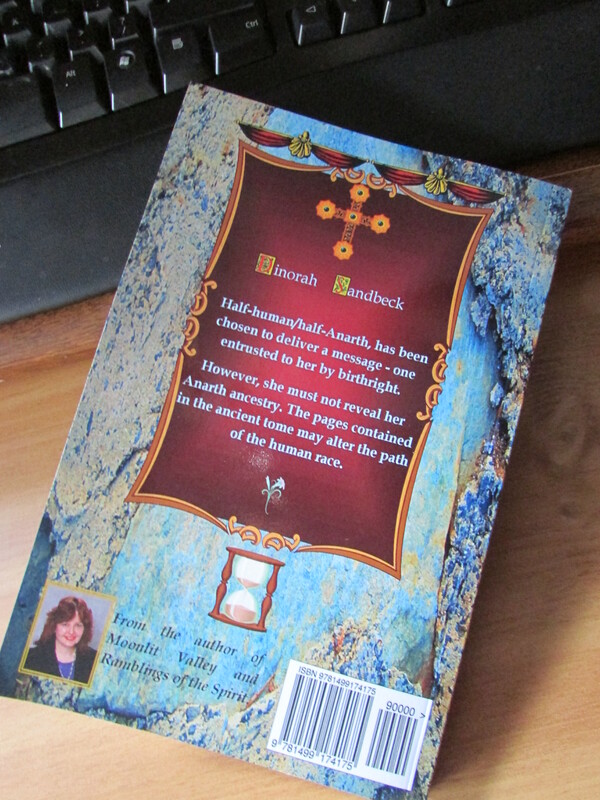 Dinorah Sandbeck, half-Human/half-Anarth, has been chosen to deliver a message – one entrusted to her by birthright. However, she must not reveal her Anarth ancestry. 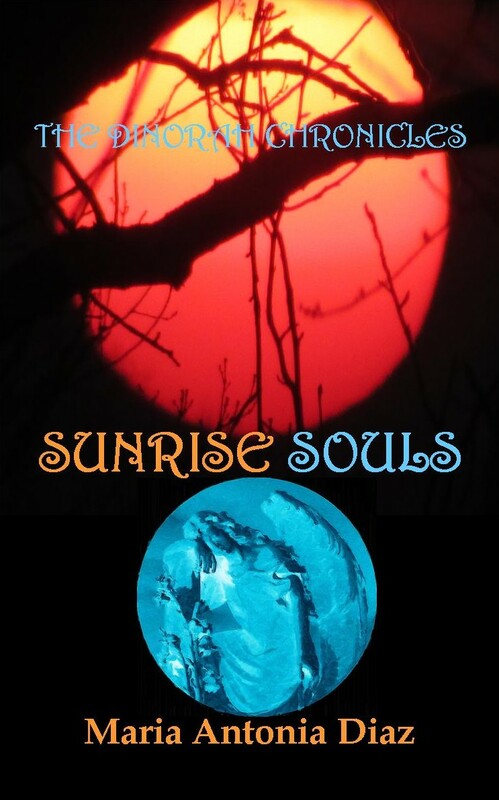 The pages contained in the ancient tome may alter the path of the human race, and start the dawn of a new Earth. This is the last book in the trilogy. 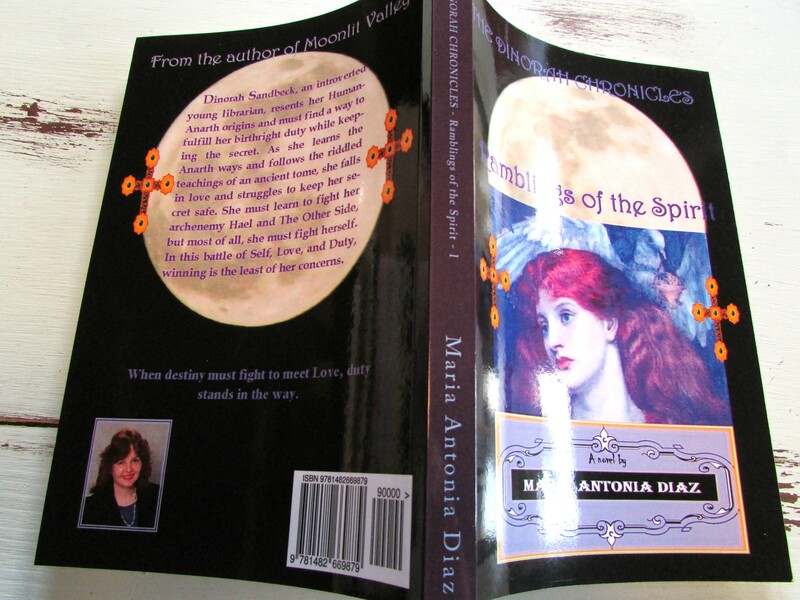 It is available via Amazon and CreateSpace in paperback and Kindle edition. I am currently writing it.